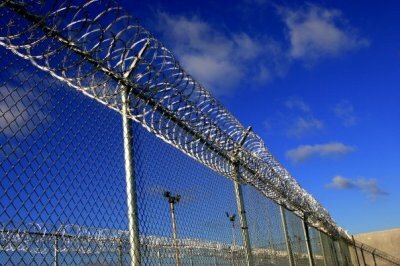 Some senators are rushing to get passed, before the end of the current Congress in January, a prison reform bill that advocates say could be the most substantial prison reform the United States has seen at the federal level in decades. The FIRST STEP Act, a bill that primarily creates earned time credit incentives for federal inmates to participate in rehabilitative and vocational training programs that can prepare them for life after prison, has received backing from a number of lawmakers on both sides of the aisle, conservative evangelical leaders, and even President Donald Trump. The 103-page legislation passed in a bipartisan fashion through the House earlier this year. But with less than a month left until the end of the 115th Congress and Democrats set to take control of the House in 2019, there appears to be disagreement over whether the bill has enough support from Republicans in the Senate to pass. An amended Senate version that was released the Friday before Thanksgiving includes mandatory sentencing reform measures and other initiatives that Republican senators with a more hardline “tough on crime” approach do not favor. Even though the bill is backed by conservative Utah Sen. Mike Lee, some conservative senators like Arkansas’ Tom Cotton have maintained their stiff opposition to the bill on claims that the bill would lead to the release of “thousands” of dangerous and violent criminals in federal prison. While Senate Majority Leader Mitch McConnell doesn’t believe that the bill has enough Republican support in the Senate to pass before the end of the current Congress, Iowa Republican Chuck Grassley, chair of the Judiciary committee, disagrees. As much has been written and said about the bill in the last few weeks as the 115th Congress winds down, the following pages include facts everyone should know about the FIRST STEP Act.